​Do you want complete excellence in contemporary stringed instruments? Look no further than Luke Ridley. Whether you're into Blues, Funk, Djent, Prog. Metal, Afro-Latin rhythms or just good old fashioned Rock, Luke is the guy who can take you from keen novice to outstanding musician. 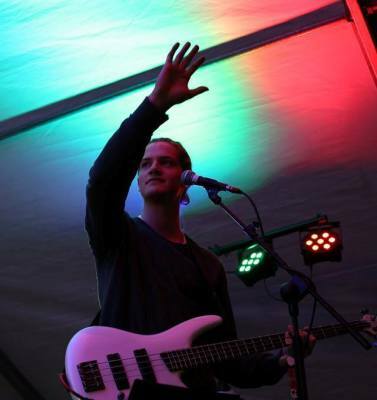 Luke is currently doing his NQF (UK) Licentiateship in Bass whilst at the same time advancing his own elite skills across Guitars and Vocals. Like Jacob and Daniel he has just completed the first ever Rockschool Grade 8 Band Exams in Australia. He also plays violin for fun. Luke is also an in demand frontman for Youth Alive SA and like all the TMA team is a regular contributor to Impact Centre Sunday services in Creative/Performing Arts as well as being a songwriter and band leader in his own right. As with all the TMA team he is fully compliant with all Child Safety certifications.